If you are a fan of Bhojpuri music, then you must be familiar with Khesari Lal Yadav. This dynamic artist is quite popular in the northern Indian states for his looks and music. Some of his songs have become a massive hit in the region as well, gaining him an immense popularity. In this post, we will list the best of the best Khesari Lal song for our readers. Read on and get to know more about Khesari Lal and listen to his amazing tracks without spending anything. If you are a true fan of Khesari Lal Yadav, then you should know more about this Bhojpuri star for sure. Born on March 6, 1986, he is also known as Shatrudhan Yadav in his family. A father of two kids, he was born in Bihar and later moved to Uttar Pradesh. Khesari Lal initially started his career as a singer and later moved into acting and modeling. His initial success came after the release of his album, Maal Bhetai Mela Me. Later, he started acting in Bhojpuri movies as well. His performance in the 2012 movie, Saajan Chale Sasural, made him an eminent name among the Bhojpuri audience. Besides several awards, he has also been awarded the prestigious Dadasaheb Phalke Academy Award as well. Khesari Lal sings in Bhojpuri, which is also his native language. Even though Yadav has sung numerous songs, there are some Bhojpuri tracks that have made him a true superstar. For our readers, we have handpicked the best of Khesari Lal Bhojpuri song that no fan should miss. From the Bhojpuri movie Dilwala, this super-hit Khesari Lal Yadav song is one of his most famous tracks. The song is sung by Khesari Lal and features him in a unique avatar. The song is written by Pawan Pandey and was originally released in July 2017. Though, it is still played at various places for its timeless appeal. This is one of those early Khesari Lal songs that truly put him on the map. Written by Shyam Dhetani, this duet is sung by Khesari Lal and Khushboo Jain. The video features Yadav with a few other artists. Till date, it is one of the most played Khesari Lal songs of all time. This is the latest Khesari Lal video song that is already gaining immense popularity and topping the charts. Released in March 2018, the song is from an upcoming Bhojpuri movie of the same name. Fans of Khesari Lal are loving the song as it has got more than 4 million views in the first 48 hours of its release. While Khesari Lal is known for recording dance numbers, this one is a bit different. This romantic duet is sung by Khesari Lal and Priyanka Singh. It has a subtle yet soothing appeal to it, making it a must-have song on your playlist. This is another popular song that you would love to listen all day long. Released in 2017, it is from the hit movie, Mehandi Laga Ke Rakhna. It is also a classic duet from Khesari Lal and Priyanka Singh. The song has been written by Pyare Lal Yadav and has a mischievous video as well. This is a festive yet a commercial track sung by Khesari Lal. Dedicated to the spirit of Holi, this Bhojpuri song was widely played during the festival of colors this year as well. It is from the album of the same name and has been sung by Khesari Lal in all his glory. Released on the occasion of Chhath, this pop song also has a festive appeal to it that you would love. The song was a part of the album Chhath Aa Gail, which was solely dedicated to the festival. Just like lots of other his songs, this one is also a duet sung by Lal and Priyanka Singh. It also features a colorful video that you would love. If you like Bhojpuri music, then you should certainly listen to this Khesari Lal song. The song is strictly for the adult audience as it has an explicit meaning to it. Nevertheless, it has a certain ring to it that is sure to get you addicted to the track. Holi is one of the biggest festivals in north India and Khesari Lal certainly didn’t disappoint his fans by dropping a whole album for the occasion. This festive song from his Holi album is another super-hit track that is already topping the charts. Listen to it once and you will find yourself humming its tune all day long. Include this dance track in your playlist and have a great time partying with your friends. From a long drive to a house party, the track will certainly be a hit on every occasion. This song also features Kajal Raghwani in a glamorous look. Now, you can easily listen to your favorite Khesari Lal hit song on Snaptube. It is a freely available Android app that has integrated various streaming platforms together. Therefore, you don’t have to switch between different apps while searching for the music of your choice. 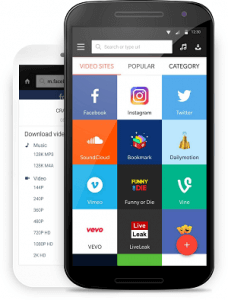 Simply download Snaptube on your device from its official website and look for any music video. From Bhojpuri to Marathi and Hindi to English, you can find all kinds of music in one place. Go ahead and download it on your Android device right away and listen to Khesari Lal songs on the go.